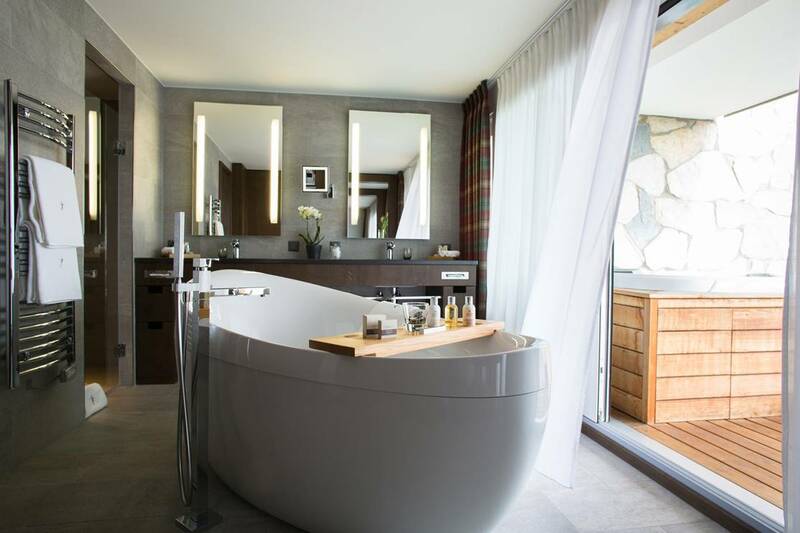 Sweeping views of Europe’s highest peaks greet guests at the CRANS AMBASSADOR, who come for world-class skiing in the winter, championship golf in the summer, and rejuvenation at the luxury spa. 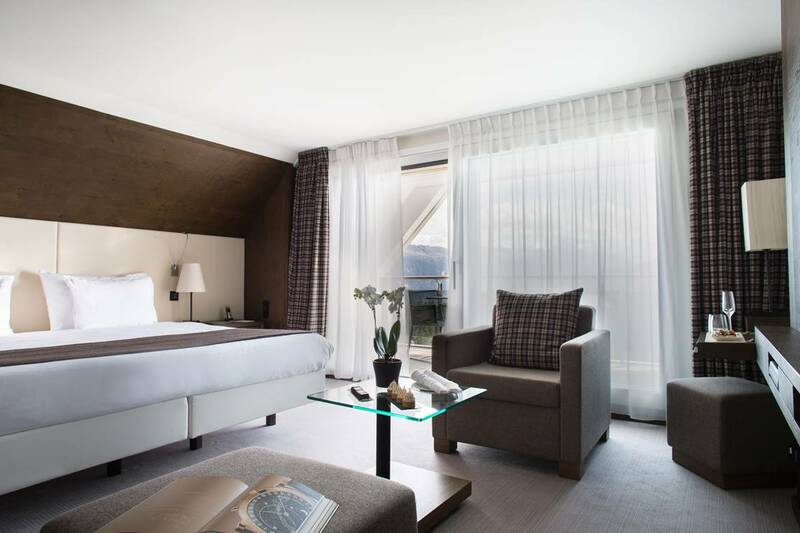 Located in breathtaking Crans-Montana in Switzerland’s Valais canton, this 57-room sport resort features excellent dining in four distinct settings: the gourmet La Table, Le Bar Lounge, Terrasse Valaisanne — heated for al fresco dining year-round, and Carnotzet by Hublot, featuring traditional Swiss wines, cheeses and other local Alpine fare. 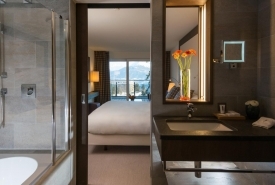 Wide picture windows frame stunning mountain or forest views from every guest room and suite, each of which is elegantly decorated in a modern alpine style. 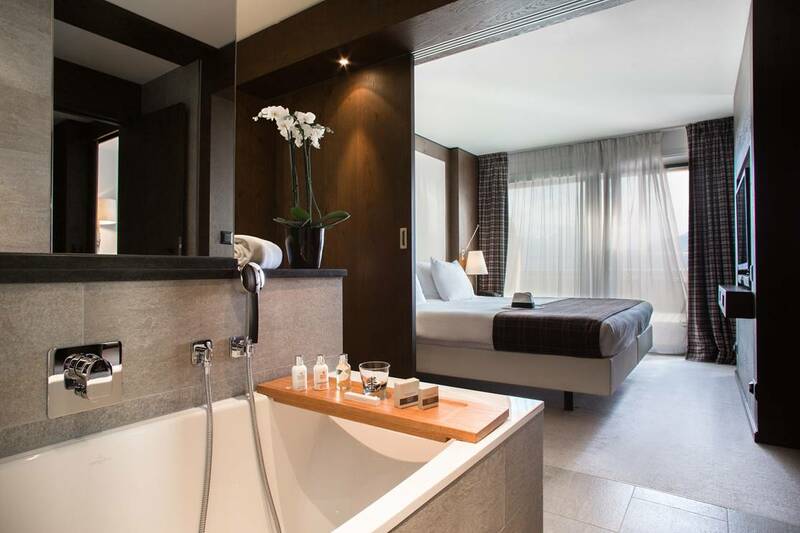 From the Ambassador Suite, those views are captured from every angle — the bed, terrace and even the bath. 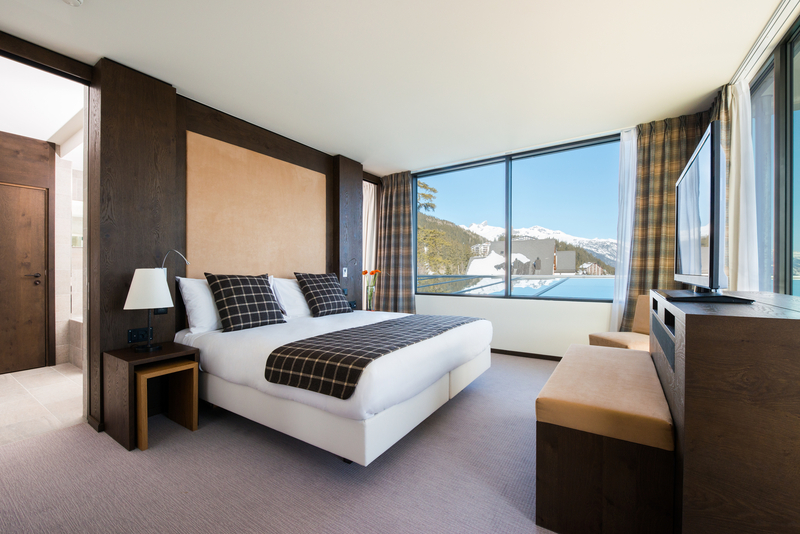 With ski lifts just 20 meters from the hotel, winter sports enthusiasts enjoy ski-in/ski-out access to the mountain for downhill skiing and snowboarding, as well as cross-country skiing and snowshoeing. 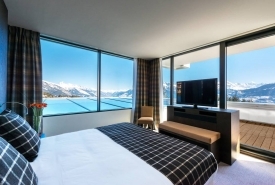 In summer, guests can golf at the famous Crans-sur-Sierre European Tour Golf course, hike, mountain bike, rock climb, and wakeboard on a variety of pristine lakes in the region. And for a break from sport, nearby wineries, cheesemakers, and art exhibitions invite visitors to explore the local culture. 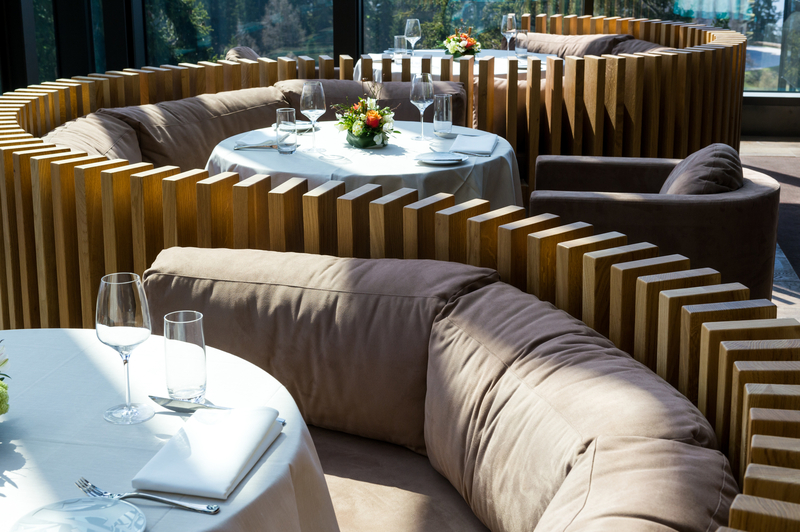 La Table: The glass-enclosed La Table captivates diners with dazzling views of the mountains. Excellent cuisine by Chef William Weiss draws inspiration from his world travels while focusing on local Alpine products. Le Bar Lounge: The hotel’s social center, Le Bar Lounge offers classic dishes and finger food complemented by a wide array of cocktails, aperitifs and local and international wines — perfect for a relaxed meal or apres-ski. 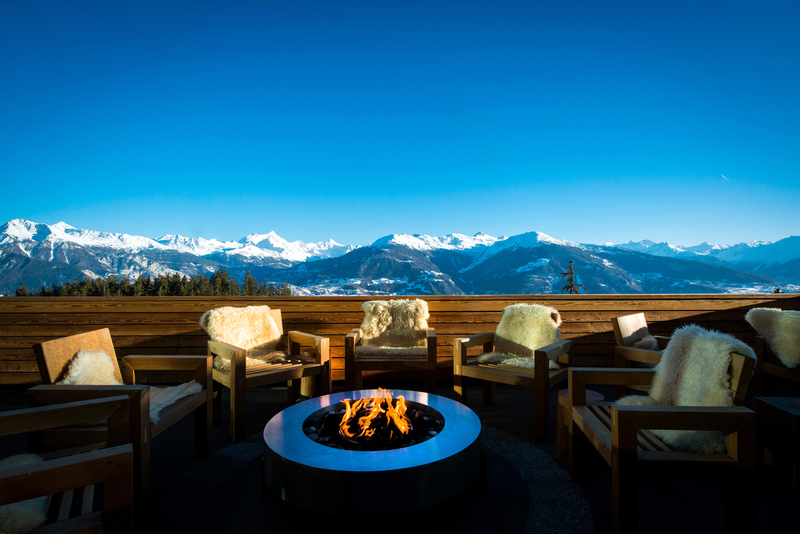 Terrasse Valaisanne: This heated outdoor terrace invites guests to dine al fresco year-round, surrounded by mountain views and the fresh Alpine air. Carnotzet by Hublot: Evoking the cozy Swiss cellars where friends and family gather to enjoy traditional cheeses, dried meats and wines, Carnotzet by Hublot specializes in local charcuterie, fondue and raclette in an inviting, rustic setting. 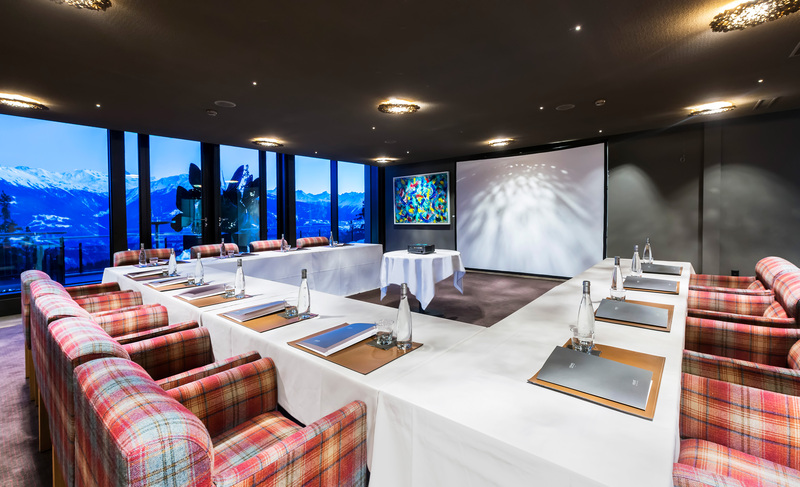 The CRANS AMBASSADOR’s restaurants, lounge and terraces can all be booked for meetings and private events of varying sizes. Up to 130 participants can be hosted for dinner and cocktail events. 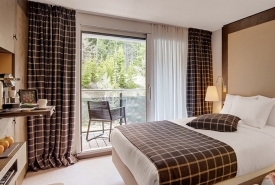 The Terrasse Valaisanne accommodates 35 and the summer terrace up to 80 persons. 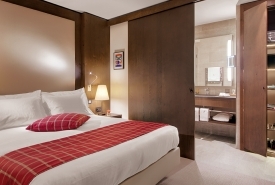 In addition, a meeting room with mountain views accommodates seminars of five to 45. 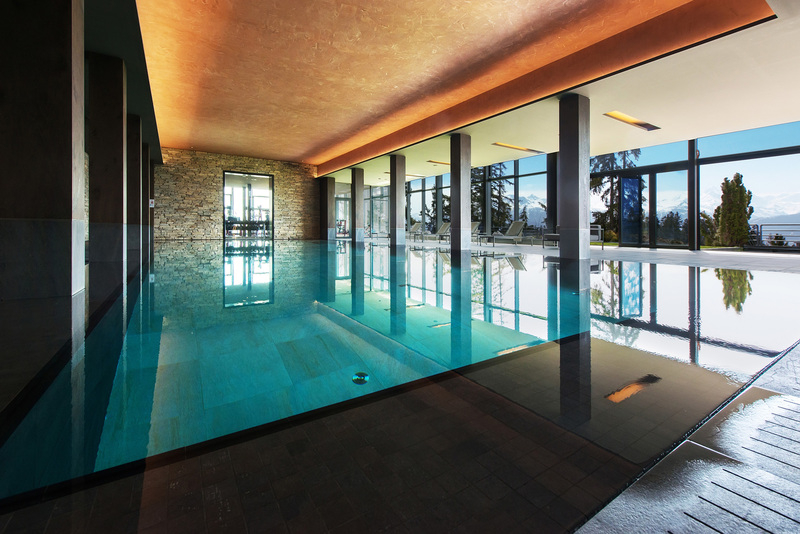 Guests can unwind after a busy day on the slopes or golf course at CRANS AMBASSADOR’s luxurious spa — the largest in Crans-Montana. Featuring a 17-meter indoor pool with spectacular views as its centerpiece, the spa offers steam and sauna, a private couples’ room with jacuzzi and steam bath, and five individual treatment rooms for pampering body and face treatments. A state-of-the-art fitness room offers a full complement of LifeFitness equipment overlooking the mountains, and guests can avail themselves of the Performance Lab to train, assess their sports performance, and relax. 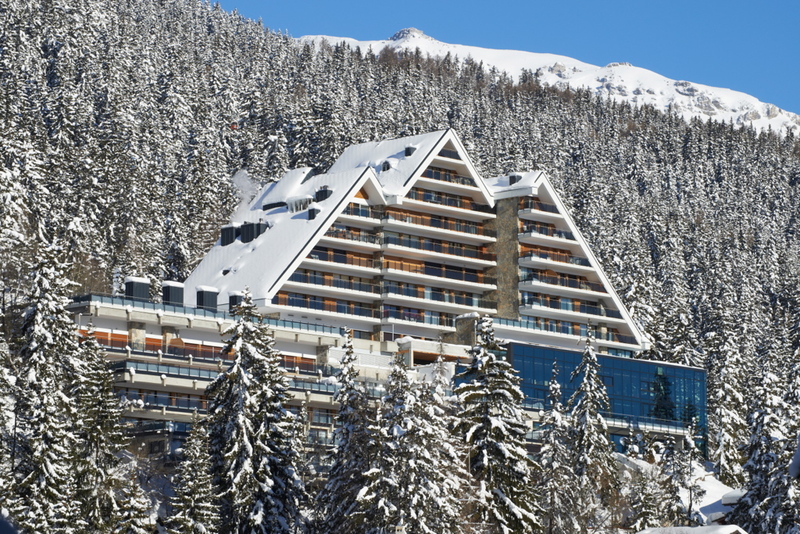 The hotel arranges indoor and outdoor fitness activities for all skill levels, ranging from skiing and golfing to cardio training to ultra-trails. Nearby Christ-Roi church and statue with its stunning view over the Mont Blanc mountain range and vineyards.